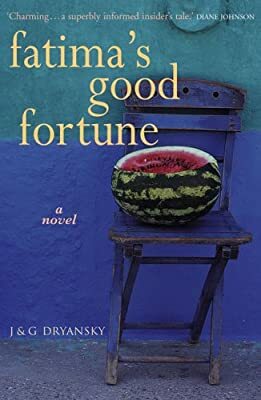 Author: Dryansky, Joanne Set In . . . Description: In the tradition of Joanne Harris -- an enchanting fable of a Parisian housemaid who transforms the lives of the people around her. Freshly arrived from a beautiful Tunisian island to work for the exacting Countess Poulais du Roc, Fatima finds herself in a city where even the most mundane tasks like walking the dog and buying the groceries prove baffling. But her natural compassion ensures her survival, and -- unexpectedly -- brings good fortune to those around her. Gradually she spreads her spell: the old Countess discovers that life has not lost its capacity to delight and Fatima's new friends all benefit from the magical luck that follows in her wake. And then suddenly, it's Fatima's turn, her moment to seize happiness. Warmhearted and witty, this story of love and determination is alive with the sights sounds, and tastes of Paris, and will appeal to fans of Joanne Harris and Diane Johnson.